This afternoon, I went for my second massage session of the day, with ultrasound therapy and then some Kinesio taping. I’m not entirely convinced that the taping will do any good, but I figure it can’t do any harm. I’m willing to try anything. Stuart often refers to me as his ‘little peach’ as I bruise very easily. Today my leg is covered in little bruises from the massages. I still don’t know whether I will be able to run on Sunday, so I’m just going to have to assume that I will be OK. The race starts at 8:45am, with my pen being one of the last to start… although apparently we’re not being set off at different times, which is a little confusing. My corral will close at 9:10am. I’ve looked up last year’s results. There were plenty of people who took nearly 7 hours to finish the race. Maybe I won’t be one of the last ones to finish, even if I’m not on form. I will have to plan how we’re going to get from our hotel to the Champs Elysees in the morning. It should be OK as I don’t think we’re too far away. I haven’t worked out what I’m going to have for tea tonight, but I will have to plan what I’m going to pack for Paris… and get packing. I hate going away, it’s sooooo stressful! I’ve also been reading through all of the advice that I’ve been sent about the marathon in the last week. I shall be staying at the Hotel Courcelles Etoile. It looks amazing. It is near to the Pereire Metro station, which is on a completely different line from George V Metro station, so it may just be easiest to walk the 1.1 miles to the start. I’m figuring that there will be lots of other marathoners in the area to follow! Add between twenty and thirty minutes if you decide to leave a bag at the bag check. Don’t hesitate to ask for help from volunteers if you have a hard time finding your way. If I decide to do this, I’ll need to be there by 7:55 am! I’m hoping that Stu will be my bag drop… but I’m also hoping that he’ll be out on the course shouting encouragement to Kirsty and me! Enter your start area, which has been fixed according to your chronometric goal, at least twenty minutes before the start. A warm-up to music will be done in this start area, thus you won’t get cold. This means that I need to be there by 8:25am, although I doubt that I’ll get moving until 9:10am. Visualize the position of the pacers, who will be wearing a feather of the same colour as your starting area. You should be able to spot them from a distance. If you wish to take advantage of their management of time and tempo, get close to one of them, without pushing (each start area will have four pacers) so that you can quickly fall into stride. Four hours is now an entirely unrealistic target, so I’ll ignore the pacers. If I fall far enough behind to see the 4:15 pacers then I may try to hang on to them. 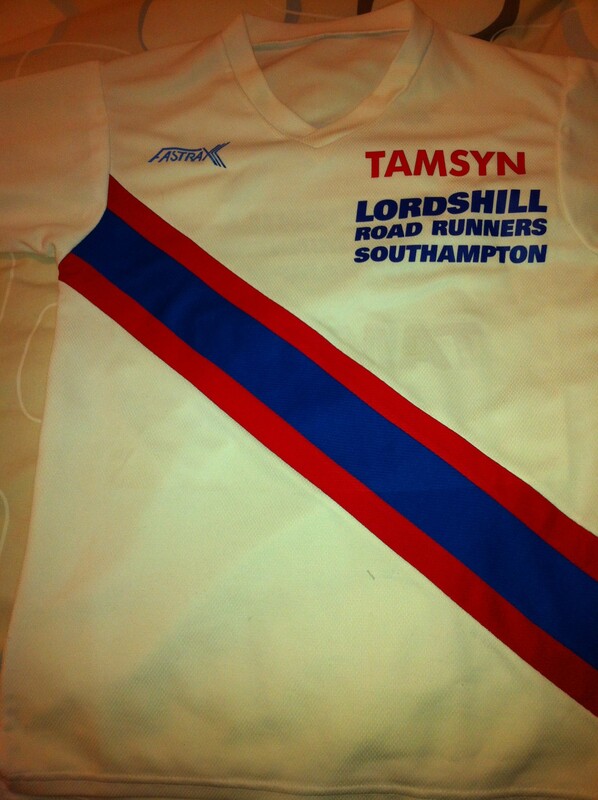 I’m hoping to meet up with some other ladies from MarathonTalk so, we may be able to keep each other going. 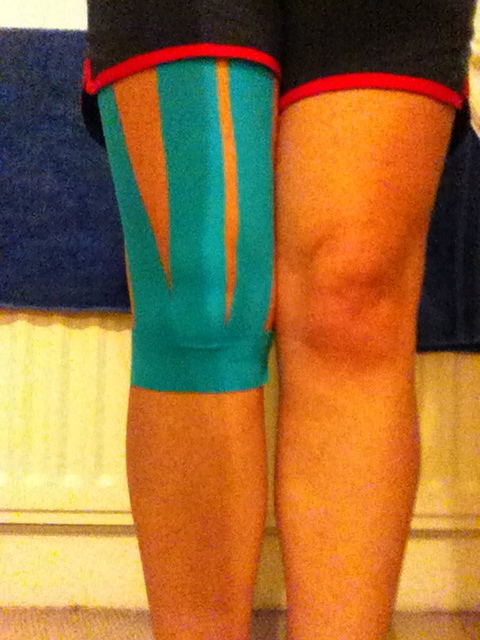 Have you ever tried Kinesio taping? Did it work? Will I be able to run in Paris?